Lets face it....Dragons are cool! 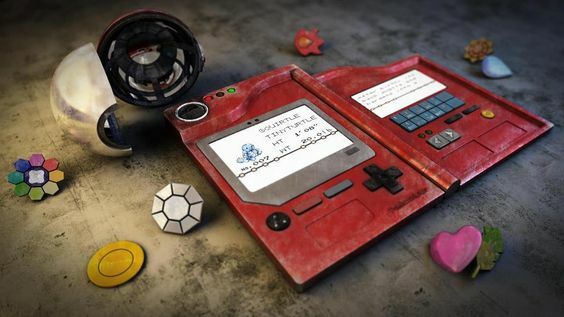 Everybody loves Dragons and who would not want a Dragon Pokemon. It should surprise no one then that Dragonites are popping up in gyms all over the freaking place. 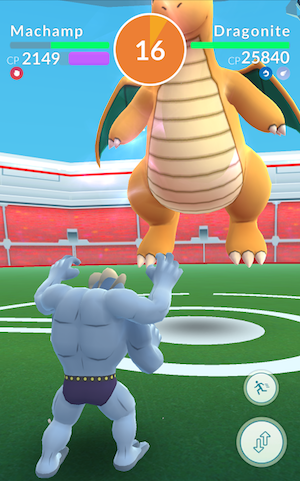 What some may find surprising is not only how common these Dragonites are in gyms but also how hard they are to take down. Dragonite is a rare and powerful Pokemon. Despite its rarity it is showing up in gyms across the country. It is the final evolutionary form of Dratini. Dratini evolves into Dragon Air that then evolves into Dragonite. One really cool aspect of Dragonite is that it is a hybrid Dragon/Flying Pokemon. There are not very many Dragon type Pokemon's in the game. Dragon type Pokemon are also very potent with few weaknesses. Dragonite might be the best of all Pokemon to get right now. Not only is it a powerful Pokemon that does very well in gym battles it also has attributes that let it to stay there for awhile. Some Pokemon that are sitting on top of gyms in the beginning stages of Pokemon GO are slow Pokemon that are likely to drop in effectiveness if the game alters how Speed is used. This change would weaken Pokemon like Snorlax, Vaporeon and Exeggcutor. Dragonite however is fairly fast and thus no matter what the change is he will still be a potent gym defender. 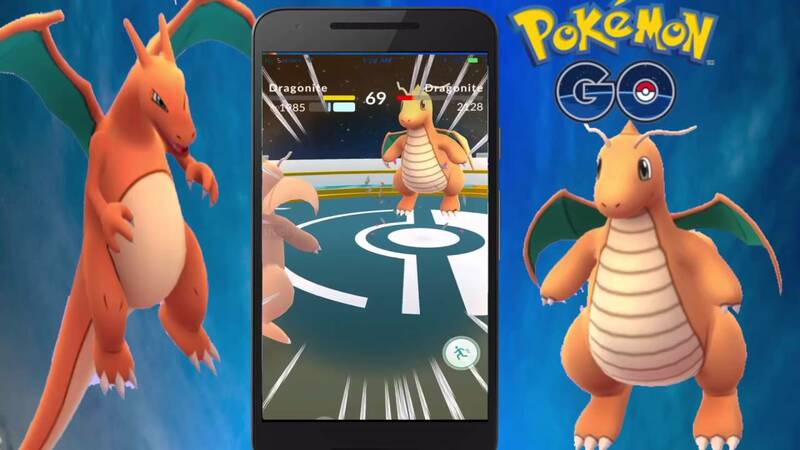 Dragonite Raids have released as part of the Pikachu event in Japan. Want to take down this teethy monster? Its not easy but it can be done with some planning. Dragonite is a Dragon / Flying Pokemon. Dragon pokemon are most susceptible to Fairy Pokemon. The next best types are Steel or Ice. Unfortunately are not very many Fairy, Steel or Ice Pokemon and they are all pretty rare. Likely the best bet here is Clefairy a Fairy Pokemon that can be common in some areas. I have also seen some steel Magnemites here and there so that is a possibility too. There are a couple of Pokemon with Ice attacks like Jinx that could also be used. None of those options are particularly appealing to most trainers as you are dealing with pretty rare pokemon where its doubtful you have one at a high CP level. Looking at the Flying side of the coin seems like the thing to do. Flying are susceptible to Rock, Ice, and Electric. However since Dragon type do well against Electric I think you should cross that option off the list. Time to mention one other powerful Pokemon that is likely to do well against Dragonite and that is Lapras. Once again Ice jumps out at me as both Flying and Dragon Pokemon share a weakness to it. This means that Dragonite has a double weakness to Ice he receives double the type damage for super effective attacks. What makes Ice even better is that there are some powerful likes Blizzard. 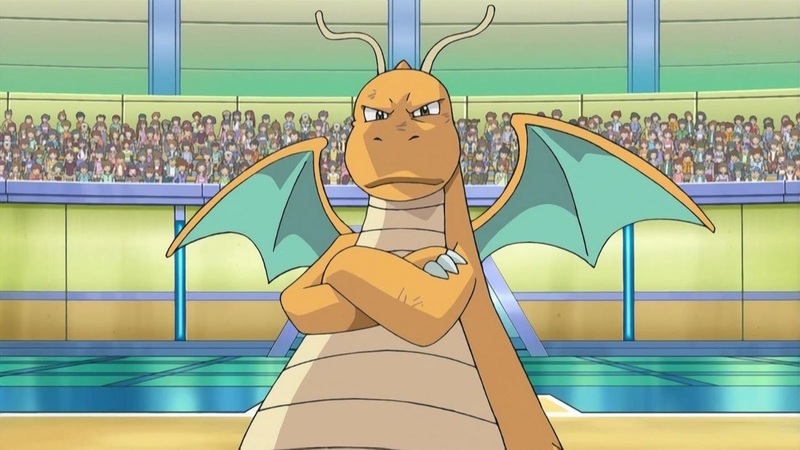 If you can find a pokemon with Blizzard try it against Dragonite and you will be pleased. Here are Pokemon with Ice attacks Cloyster, Jinx, and Lapras. Some people do have a powerful Lapras. IF you have a Lapras I think its a shoe in to battle Dragonite. Of all of the Ice Pokemon I think the best one is Lapras but I have a lot of luck with Cloyster as ewll. In this video you can see a extremely powerful Dragonite and one of the best Pokemon against it was a Lapras. Another option is to exploit the Flying weakness to Rock Pokemon and my favorite option there is to use Golem a final evolution of Geodude that is fairly common in the game. I like Golem and he can be found relatively easily in many places. So here are the top options to use against Dragonite and keep in mind that no matter what you need to be fairly close to your opponent in CP. Dragonite is a top notch Pokemon no matter what. Clefairy / Clefable, Lapras, Cloyster, Jinx, and Golem.